The Top Performers are pre-chosen, highly qualified students, whose results exceed the degree-related requirements. The idea of offering a pool of Top Performers has been well received by students as well as businesses in recent years. Within the framework of the CAREER & Competence we would like to offer you as a business the chance of meeting these students personally before the exhibition. Once nominated, the Top Performers receive advance information about your advertised job and practical training offers. Moreover they can make appointments before the CAREER & Competence for individual interviews with members of your business at the CAREER & Competence. Students chosen as Top Performers stand out due to their above-average subject-matter, personal and communicative competence as well as their high performance willingness. As a business you have the opportunity of advertising job offers and practical training places / internships directly to the pool of Top Performers. Furthermore, for the first two weeks all new job offers posted at the C&C website are visible only to Top Performers, before they are made available to all visitors. Moreover the Top Performers themselves are able to make appointments in advance for personal interviews with you at the exhibition. Every student has a chance of being nominated as a Top Performer, regardless of completed terms. It is also possible and advisable to be nominated as a Top Performer in successive terms or from different professors. 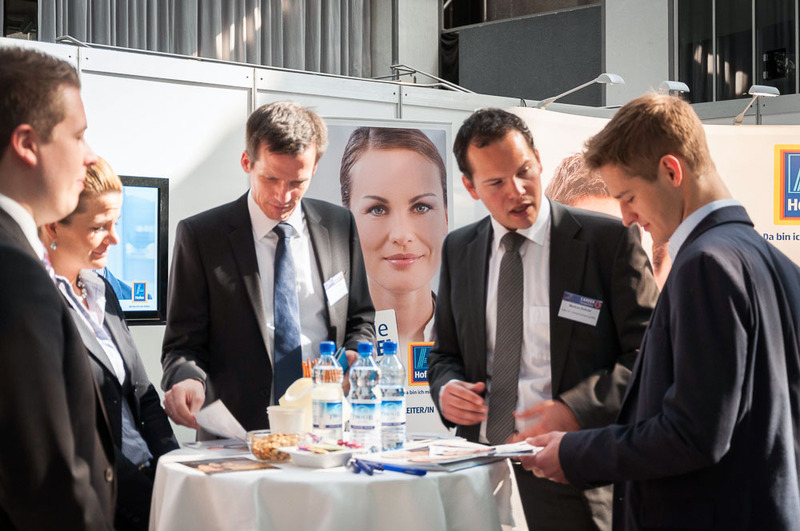 How do you recognize Top Performers at the exhibition? Top Performers receive a name badge at the CAREER & Competence, which makes them recognizable as Top Performers.